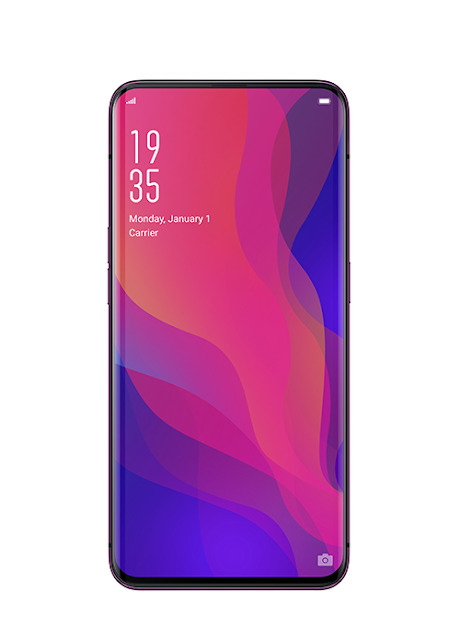 OPPO Find X introduces a gorgeous brand-new design. Find X features an abundance of new innovations including the amazing panoramic design with holeless front and rear panels, O-Face 3D Structured Light. Together, these technologies bring smartphone user experience to a new level. OPPO’s belief is that a smartphone is not just a communication device, but a piece of art and Find X is proof of this philosophy. Find X has two gradient color combinations—Bordeaux Red and Glacier Blue. The Multifaceted Color Process used by OPPO realizes a perfect blend of gradient design with a 3D arc on the rear. In the light, Find X shines like crystal and flowing water, presenting a colorful effect that changes with your surroundings.